Here it is!!! 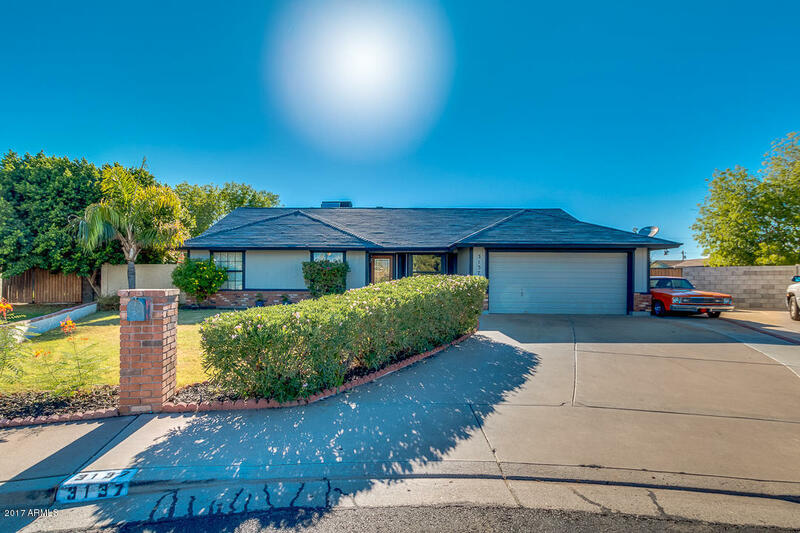 A Must See for One of Mesa's Best Values! Beautiful home with a cul-de-sac location that backs up to a 1 acre lot. Very functional floor-plan with separate living/family rooms and spacious bedrooms. Open kitchen upgraded in 2007 with Cabinets and Granite counter tops. Family room with fireplace, vaulted Ceilings and pot shelves. Huge 10x10 laundry room that could also be sewing room, hobby rm or additional walk-in pantry. Covered Patio that leads to a spacious back yard with above ground swimming pool. Plenty of parking with an rv gate and a convenient 2 car garage that opens to the kitchen Hurry...Don't want to miss this one! Its not going to last long.